Supple and smooth, the Fiat 500L has two distinct legs or "wheel arches" as some say in the industry, which appear to be sculpted from Greek marble. The perfectly toned calf muscles lead up to a fat free inner thigh which, if moved over gently and in an upward fashion will generate heat and moisture which leads to the engine running warmer, hotter, and more efficiently. More power is better, and you will drive faster and farther. Continuing up the lines of the model, the Fiat 500L has wide, yet properly shaped hips which have ample room to bear children. 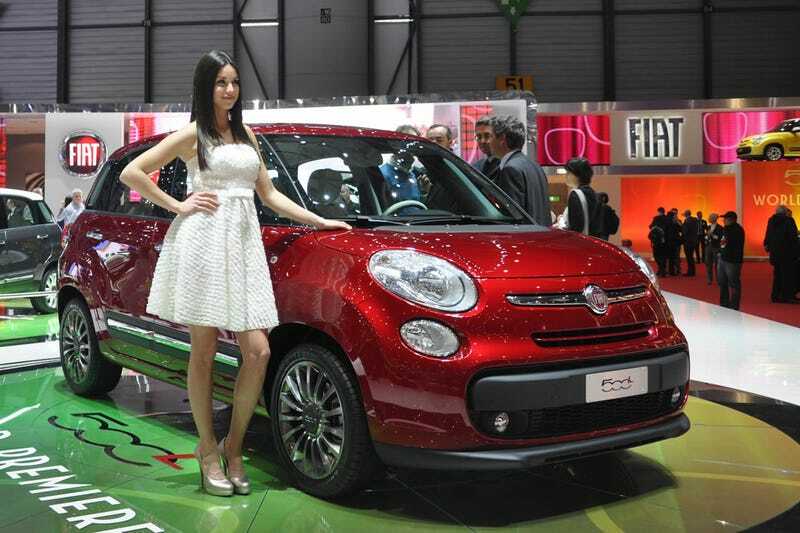 Yes, the Fiat 500L will baby. Multiple babies if you play your cards right. The model has great shape and stature, and up front has two distinct headlights which have a round, voluptuous and ample round look to them. They accentuate the frame of the car as the gently protrude through the bonnet or blouse of the car which, when looked at in the right light definitely gets your motor running. Finally, the Fiat 500L has a face that screams "flog me, flog me hard, yes, please flog me". Well, if you treat her like a lady you just may be able to flog this grocery getting beauty.